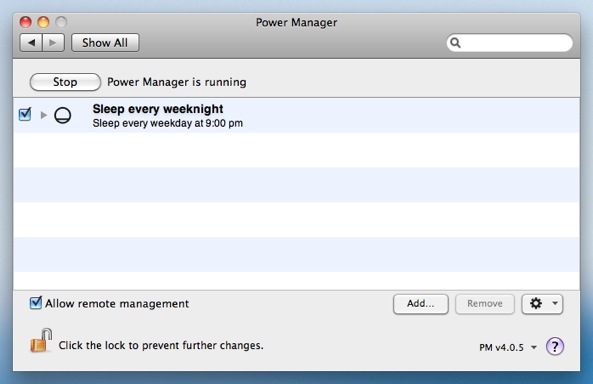 It is a good idea to power down or put your Mac to sleep when it is not in use. This saves energy and in turn saves you money. 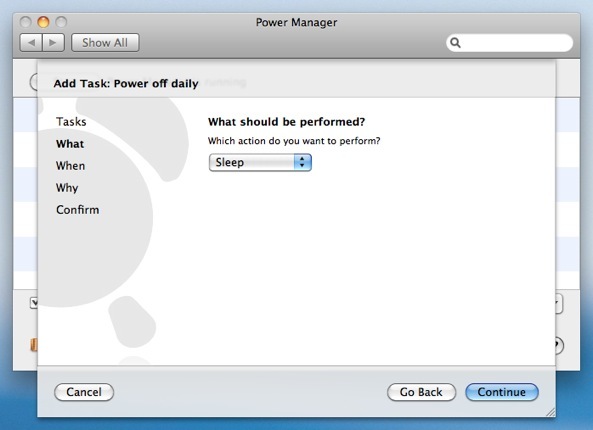 Your Mac can go to sleep after being left idle, but this is not always reliable. Most of us have a reasonably predictable daily routine and getting your Mac to work effortlessly with your routine is desirable. 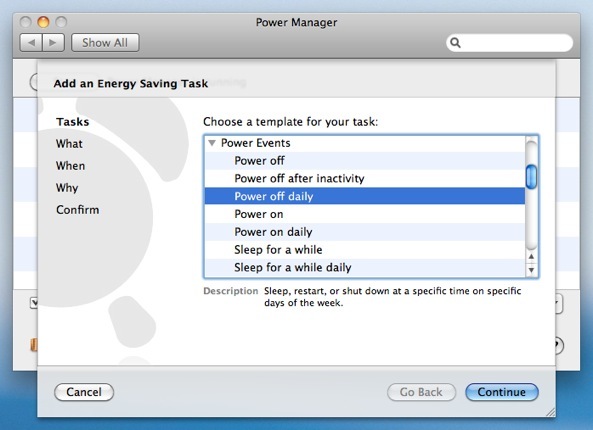 Using Power Manager you can schedule your Mac to go sleep at a specific time each day. 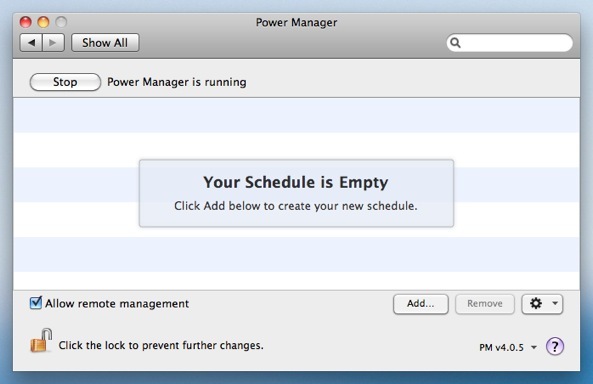 You can even schedule your Mac to go to sleep at specific times on weekdays, and at a different time on weekends. 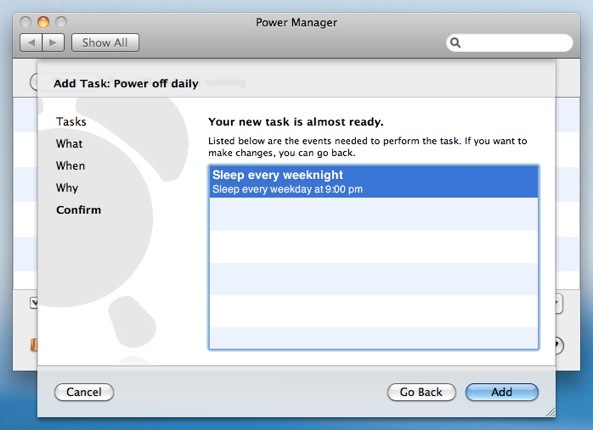 Let's walk through how to schedule your Mac to sleep at 9:00 pm every night of the working week. Select Sleep for What should be performed?. Adjust the time and days to read 9:00 pm, with only Monday through Friday selected. 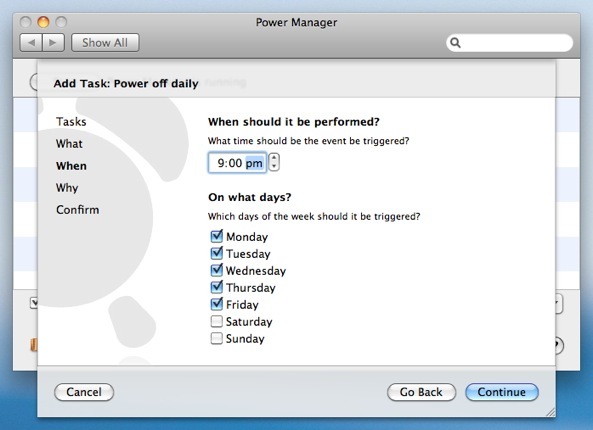 Having followed the steps above, Power Manager will now show your newly created event. 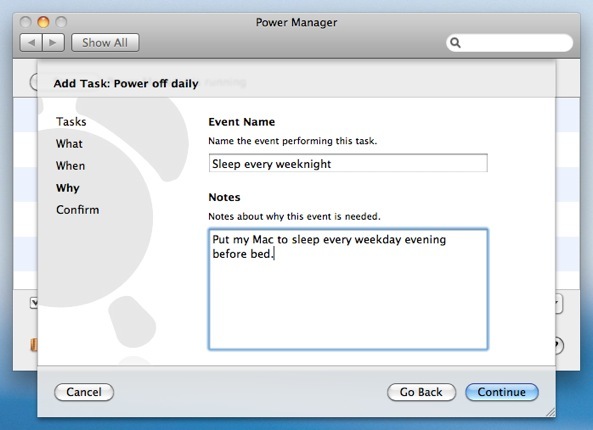 The event is scheduled immediately and Power Manager will now put your Mac to sleep every weekday evening at 9:00 pm. You can see your new event in the Power Manager status menu bar, and through Power Manager Remote. This article was posted in Energy saving, PM4, Power Manager, and Recipe and tagged Power Manager, recipe, schedule PM4, and sleep.